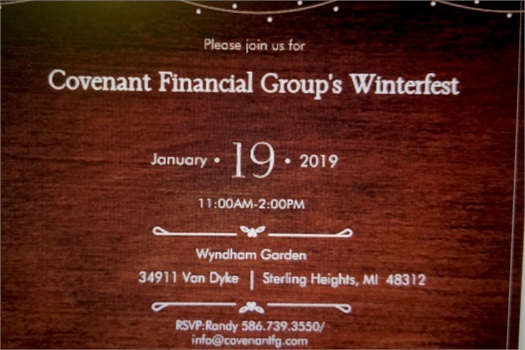 Both Winter--as in 4-5 inches of snow--and Fest(as in festivity) were in evidence as Covenant Financial Group began its new series of Client Centered events for 2019. 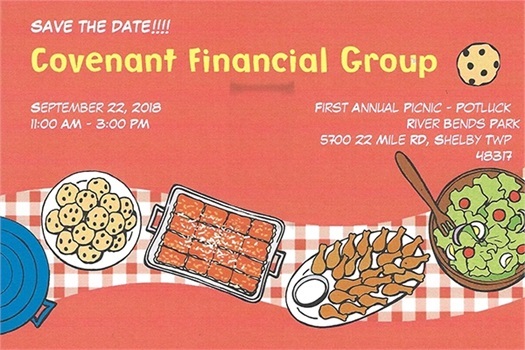 Clients enjoy a time to catch up or make new friends before lunch is served. 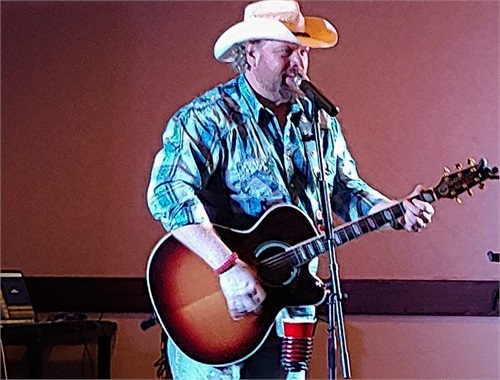 Mike Sugg, America's premiere Toby Keith tribute artist, entertains Winterfest attendees. 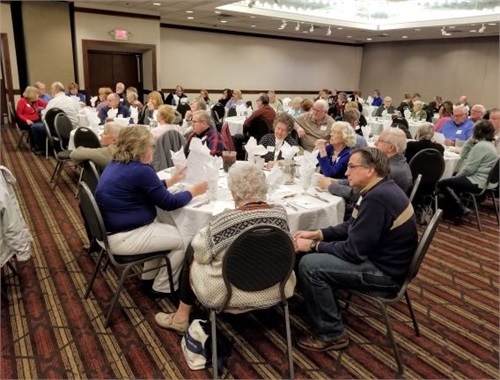 Like the old EF Hutton commercials, when CEO Steve Werner speaks,,,the guests listen(Steve is in the picture's foreground) as he shares news-updates from CFG, including a look ahead for the rest of 2019. 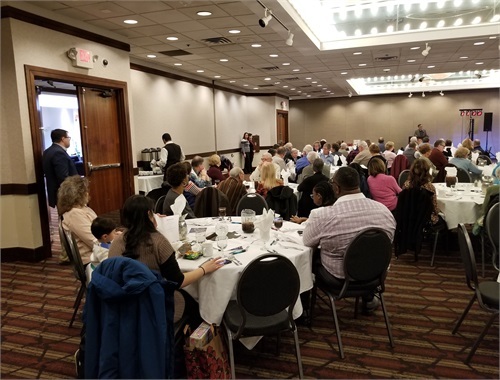 Attendees who braved the cold on 2/28/19, were rewarded with a lively look at what ID Theft is and take-a ways on how to prevent it. 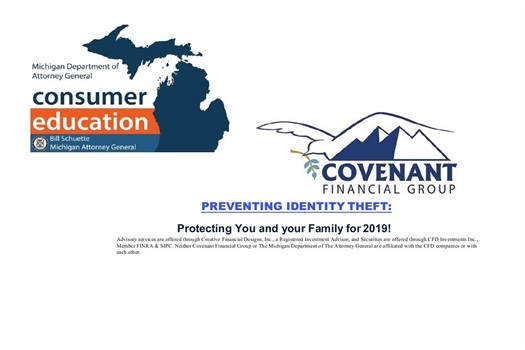 Presenter Jim Fleck from the Attorney General's Office of Consumer Education shared real life stories from those who have been victimized as he walked guests through the ways your identity can be stolen. Jim shared actionable steps--and resources--for working through the challenges if you become a victim.